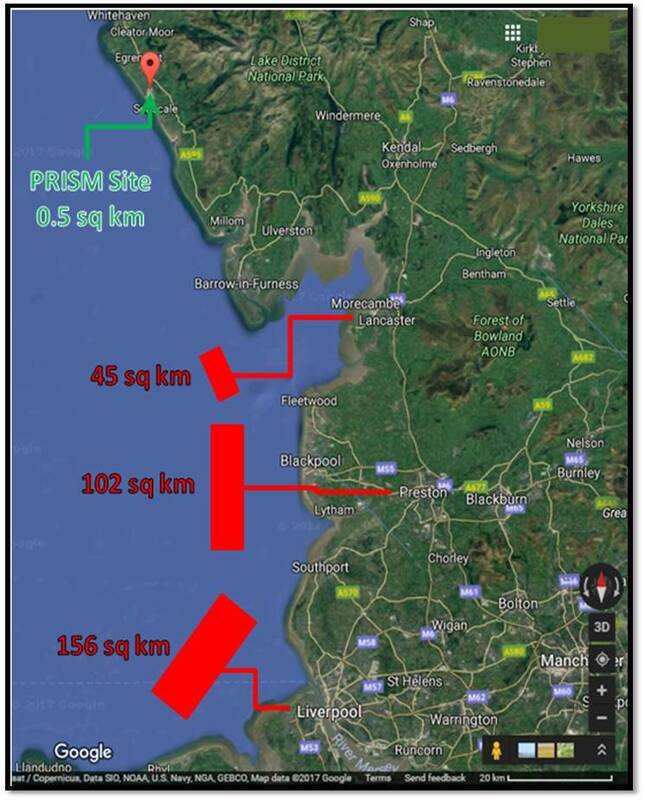 PRISMs to Power the UK. : 930,277 Lancastrians reject 299 sq km of Offshore Wind in Favour of a Single Sellafield Reactor. 930,277 Lancastrians reject 299 sq km of Offshore Wind in Favour of a Single Sellafield Reactor. can generate all of the electricity [domestic; commercial; industrial] used by a population of 942,424 people for 60 years. That's more than what is required for the Cities of Lancaster, Preston and Liverpool. West of Duddon Sands; Walney; Robin Rigg; Ormonde; Barrow; Burbo Bank. BEIS figure: 3,994 kWh/home per year. To supply for 60 years, all of this Offshore Wind Farm Capacity has to be built a 2nd Time and then Generate for 2/3 of the life of the 3rd Build - That's a factor of X2.66' ! That would cost: £15,487 million. The most expensive form of Pressurised Water Reactor, the the 3,200 MW EPR at Hinkley Point, has a capital cost of £18 Billion + a 'delayed' cost of £7.2 billion for decommissioning and waste handling and storage. That works out at £7,875 million/MW. At the same rate in £/MW for capital cost, decommissioning, waste handling and storage, a 620 MW SMR would cost: £4,883 million. Offshore Wind Turbines cost 3.17X more than SMRs !